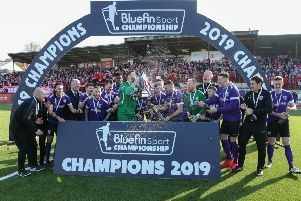 This year’s Larne Borough Sports Awards was a huge success with ex-Northern Ireland international Michael Hughes inducted into the Hall of Fame. Commonwealth Games bowler Martin McHugh scooped Sports Performer of the Year and Larne Rugby Club was neamed Team of the Year. Don’t miss this week’s Times for an exclusive interview with Hughes and two-page photo spread from the big night.